Reliable disclosure is an essential element of good corporate governance and the concept of comply or explain is at the heart of European corporate governance codes. Contrary to strict binding provisions, the recommendations of a corporate governance code applied on a comply or explain basis allow companies to deviate from the code’s recommendations, provided they clearly state the reasons for doing so. Besides increased transparency, this approach promotes companies’ accountability, as it incentivises boards to reflect on companies’ corporate governance arrangements and engage in discussions internally and externally with relevant stakeholders on the need for improvements. This approach, first conceived in the UK in 1992 has been institutionalised in the European Union with the adoption of the Audit Directive in 2006 (and its revisions of 2013) and has also been accepted by other jurisdictions worldwide. While the approaches ‘on paper’ that companies should take to implement the codes are very similar, the actual implementation and monitoring vary greatly across countries. The lack of active monitoring on how codes are implemented has brought about a misunderstanding that the codes are an end in themselves, forgetting that the real value is instead in their implementation. There are a few examples of this active monitoring. For example, in Spain, the securities market regulator Comisión Nacional del Mercado de Valores (CNMV) actively monitors how the Spanish Corporate Governance code is implemented by analysing the annual corporate governance reports published by listed companies and contacting them when inconsistencies are found. The CNMV issues a regular monitoring report, which includes both statistical information and references to companies’ practices. In July 2016, the CNMV also published a technical guide on good practices for the application of the comply or explain principle, designed to improve the quality of companies’ reporting by advising them on how to frame the explanations provided in annual corporate governance reports for not following code recommendations. The French regulator Autorité des Marchés Financiers (AMF) goes a step further, ‘naming and shaming’ companies with questionable governance practices in its annual report and building its own considerations upon the analysis undertaken by AFEP-MEDEF (the ‘owner’ of the code), which evaluates the status of corporate governance in the French market. In the United Kingdom, the Financial Reporting Council (FRC) is the owner of the UK Corporate Governance Code and UK Stewardship Code. The FRC publishes an annual monitoring report on the level of company compliance with the Code, based on the analysis undertaken by Grant Thornton every year. In each theme, the FRC report summarises the most relevant changes in the national corporate governance framework during the year, company practices, and sets the agenda for the coming months. The agenda includes expectations and future targets, as well as a timeframe for future code revisions or other initiatives. The FRC is active in providing guidance to market participants, selecting and sharing what is considered best practice through the publication of guidance notes and has also adopted the UK Stewardship Code for institutional investors, which deals, inter alia, with improving the investors’ engagement with investee companies. There are about 300 asset managers, asset owners and service providers that have signed up to the Stewardship Code. Signatories are encouraged to publish a statement on their website of the extent to which they have complied with the Code (comply or explain), to notify the FRC when they have done so and whenever the statement is updated. The FRC soon realised that in some cases, the signing of the Code was just a mere declaration, with no material action. Hence, it started reviewing the quality of the compliance statements and ‘name and shame’ or ‘name and shine’ asset managers, asset owners and service providers, by including them into tiers based on the quality of their code statements. It seems that this approach is bringing good results. 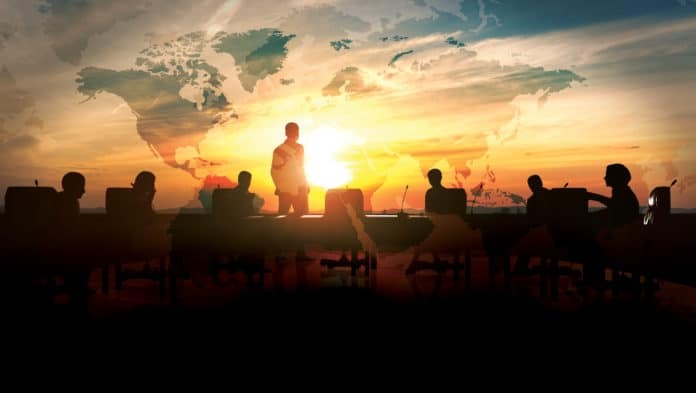 However, despite these and a few other good examples, corporate governance codes remain scarcely implemented in many countries and the explanations provided for non-compliance leave much to be desired. We try to draw conclusions on steps needed to enhance the application of corporate governance codes by examining the cases of Croatia, Hungary, Romania and Russia – each chosen for specific reasons outlined below. 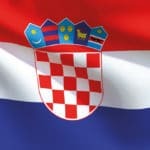 The Croatian Corporate Governance Code was adopted in 2007 (and revised in 2010) jointly by the Zagreb Stock Exchange (ZSE) and Croatian Financial Services Supervisory Agency (HANFA). The Code is to be implemented on a comply or explain basis by all listed companies, who must submit their answers annually to the stock exchange by way of a questionnaire (attached to the code), disclosing their compliance with the code and explaining reasons for any deviations. Both the ZSE and HANFA are monitoring corporate governance statements made by listed companies and both publish annual reports on corporate governance practices. The reports made by HANFA are predominantly statistical and do not analyse the quality of companies’ disclosure. The report by ZSE is more explicit in this respect and provides useful recommendations on how companies can improve their disclosures. In addition to disclosing the total average percentage of non-compliance for the reviewed sample of listed companies (which was 31.4 per cent in 2016), the ZSE report recognises that companies often do not reveal the full reasons for non-compliance and resort frequently to formal responses, thereby failing to provide any information of value. It does not, however, contain granular information on compliance with the individual code recommendations, but is based on the analysis of the code’s chapters instead. It should be noted that HANFA and ZSE are undertaking efforts to enhance their monitoring and are working on an expanded toolkit that will enable them to highlight poor disclosure practices where necessary. In 2017, one of the biggest corporate scandals ever to happen in Central and Eastern Europe took place in Croatia. The accumulation of Croatian retail giant Agrokor Group’s debts to its creditors and suppliers of more than €5.5billion left the group of more than 70 companies with negative capital and in dire need of restructuring. In well-functioning markets, poor corporate governance disclosure might serve as a signal of inherent weaknesses in the issuer’s operations. However, this does not seem to have been the case for Agrokor despite numerous disclosed departures from the Code by a number of ZSE-listed Agrokor subsidiaries, whose explanations for deviating from very important recommendations – such as those on independent directors, board evaluation, internal controls, nomination and remuneration committees – were at times either non-existent or very superficial. Corporate governance codes do not exist in a vacuum – they need to be based on the rules of the corporate law in force in order to complement them. However, there are cases where the law and the code are not fully aligned. Such is the case of Hungary, where new company law-related provisions were adopted in 2013, whereas the current version of the corporate governance recommendations was issued by the Budapest Stock Exchange in 2012. The substantial changes in the 2013 Civil Code left supervisory boards in the two-tier system with rather vague responsibilities, which caused corporate governance to look more like a “hybrid” system, than a real two-tier system. Under the current Hungarian framework, the supervisory board has no real power – especially when it comes to strategic responsibilities, including the authority to appoint/dismiss senior management – and all decision-making is essentially retained by the management board and general shareholders’ meeting. When the new legislative framework is compared with the Code’s recommendations, some peculiar outcomes arise. 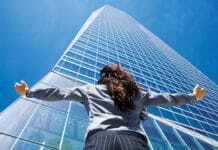 For example, the corporate governance recommendations suggest that the management body – which in the two-tier structure is the management board – should be comprised of both executive and non-executive directors. In a standard two-tier board structure, this recommendation seems awkward, as we would expect the management board to be made of executives only. In order to comply with the code, companies now tend to have non-executive members on both their management board and supervisory board. This adds another layer to the already complex governance structure, whose value is still to be proven. Finally, it is unclear which body (if any) is responsible for monitoring listed companies’ compliance with the corporate governance recommendations. According to expert reports, the corporate governance committee of the stock exchange is responsible for this function, but we could not locate any monitoring reports. 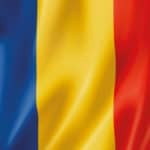 The Romanian Corporate Governance Code was adopted in 2001 and reviewed first in 2008 and then in 2015 by the Bucharest Stock Exchange. The Code is based on the comply or explain approach, and the listing rules of the Bucharest Stock Exchange require companies to disclose their compliance with the Code according to a template, which includes 34 items. In order to help companies disclose corporate governance information as accurately as possible and in order to facilitate the explanations of deviations from the code, the Stock Exchange has also introduced a manual for reporting corporate governance and a compendium of corporate governance practices. 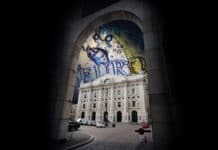 Despite the fact that no monitoring report has been yet issued, it seems that the Bucharest Stock Exchange has started to monitor the practices of the issuers listed on its main market, especially as regards the information disclosed on the investor relations section on companies’ websites. In October 2017, the Stock Exchange published the third edition of the Whitebook on Communication of Listed Companies the purpose of which is to evaluate the quality and accuracy of information provided to the investor community. Such assessments – albeit limited in scope – are good steps ahead in providing good pressure to companies for better disclosure. Based on our review of annual reports published in 2017, it seems that most companies listed on the Premium Tier of the Bucharest Stock Exchange have improved both their compliance with the code and the quality of explanations when compared to their 2016 disclosure. On average, those companies exhibited non-compliance with about 16 per cent of the code’s provisions, down from almost a third when compared to the previous year. However, despite the improvements, we found the quality of explanations for deviations from the code to still be largely not satisfactory i.e. the companies have either not followed-up on their “promises” to comply with a certain provision within a specific timeframe, made in the previous year’s disclosures, or they have provided explanations which are neither verifiable, nor meaningful or complete. What is equally (or even more) concerning is that we found, upon a cursory review, that many companies declare to be compliant with a certain CG Code provision, when in fact they are not. A more comprehensive and robust monitoring report assessing both how the code is being implemented and the quality of explanations would be a natural step further in challenging companies over their disclosure and – in turn – improving corporate governance practices in the country. While there are positive developments on the corporate governance framework for listed companies, concerns remain on corporate governance of state-owned enterprises, where there are legislative initiatives to dramatically limit the positive effects of EO 109/Law 111. 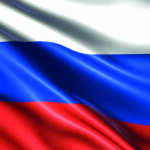 In Russia, a new Corporate Governance Code was adopted in 2014 by the Bank of Russia (CBR) thus replacing the Code of Corporate Conduct that was adopted in 2002. The new Code is divided in two main sections: (i) the Principles of Corporate Governance (the actual code); and (ii) the Recommendations on the Principles of Corporate Governance, intended to facilitate practical implementation of the principles. All listed companies are required to present a comply or explain statement in their annual reports. With the adoption of the Code, the Bank of Russia committed to oversee its implementation, to develop standards for the disclosure of information on compliance with the code and provide guidance for the application of those standards, with the goal of eliminating the ‘formal’ approach taken by companies when disclosing compliance with the previous Code. The Bank of Russia (CBR) kept its commitment and following the code’s entry into force and a publication of a manual for issuers in February 2016 – to provide guidance ahead of preparation of their annual reports – the CBR issued the first ever monitoring report in April 2017. The report served two main purposes: (i) it helped the CBR to have a clear understanding of the practices in place versus the code’s recommendations; and (ii) it triggered a new level of dialogue between the ‘owner’ of the code and market participants. Following the issuance of the monitoring report, the CBR also sent a few letters to various issuers asking for clarifications over their disclosure. Soon companies started realising that the framework had changed. They realised that their disclosure was monitored and scrutinised and consequently became more conscious about what they were publishing in their annual reports. The active role of the regulator also made other players more proactive in engaging with companies, which all added to a better governance framework. During the recent OECD-Moscow Exchange Russian Corporate Governance Roundtable, it was striking to see that most of the discussion was centred on companies’ practices – a dialogue unimaginable a few years ago. In its first report, CBR analysed corporate governance statements of listed companies for 2015 and found that the overall level of code compliance of companies listed on the top two segments of the Moscow Exchange was 58 per cent. No single company reached full compliance, although one company came close by implementing 97.5 per cent of all code’s principles. When it comes to explanations, the CBR found that in a rather large number of cases their quality left much to be desired. Many companies did not provide exhaustive explanations in case of non-observance of certain of the Code’s Principles. According to the CBR, this level of quality of these explanations indicates the inability of many companies to pay serious attention to conducting an in-depth analysis of the reasons for the deviation as well as to provide meaningful information to investors. At the time of writing this article, the CBR published its second monitoring report, thus reinforcing its objective to promote the implementation of the Corporate Governance Code. Determined to raise the quality of listed companies’ corporate governance statements and explanations of departures from corporate governance codes, in 2014 the European Commission issued a recommendation on the quality of corporate governance reporting (comply or explain). The recommendation focusses on the quality of information to be provided in corporate governance statements and elaborates that the information on how a company has applied a corporate governance code should be ‘sufficiently clear, accurate and comprehensive to enable shareholders, investors and other stakeholders to gain a good understanding of the manner in which the company is governed’. When it comes to the quality of explanations in case of departure from a code, the recommendation sets out the elements of an explanation that should be clearly provided for all specific recommendations a company has departed from. In order to achieve the desired quality of information, there needs to be a consensus on what constitutes a good explanation. In this process, the input from investors is essential, as any further guidance needs to be tailored to the expectations of the market. Those expectations, coupled with appropriate guidance can then form a solid basis from which companies can be expected to nurture a ‘culture of explanations’ that goes beyond a box-ticking exercise and provides real meaning and value to stakeholders. An effective comply or explain approach requires efficient monitoring to motivate businesses to comply with a code and to give meaningful explanations for non-compliance. As the comply or explain approach is essentially a dialogue between companies and the market, it is essential that there is feedback on the basis of companies’ reporting. In many of the mentioned cases, it is the owner of the corporate governance code that comes back to the market with a monitoring report, so to provide pressure on companies and guidance to the market. The EC recommendation also supports this by stressing that ‘efficient monitoring needs to be carried out at national level, within the framework of the existing monitoring arrangements’. 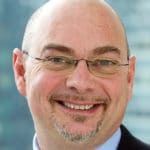 International Organization of Securities Commissions (IOSCO) is advocating for an active role of regulators in promoting corporate governance, which reflects the trend that saw an increasing number of regulators “owning” the corporate governance code and monitoring its implementation. However, despite many good examples from developed markets, many regulators still do not really look at corporate governance. Maybe a problem in this regard is that many of them are confined to what is prescribed by law and do not have a qualitative, holistic approach necessary for corporate governance. We believe that increased focus of national regulators and other code owners on corporate governance practices of listed companies can be instrumental in raising both the companies’ and investors’ awareness of the need for good governance and appropriate transparency. 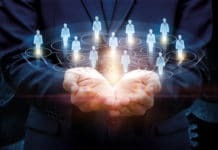 Institutional investors also have a part to play in this and should strive toward enhanced engagement with their companies. The UK approach, with a stewardship code for institutional investors and its separate monitoring mechanism implemented by the FRC might be a good example to follow. The opinions expressed are the authors’ only and do not necessarily represent the views of the European Bank for Reconstruction and Development (EBRD). Gian Piero, who is an Italian qualified attorney, is the corporate governance specialist in the EBRD Legal Transition Team. Prior to joining the EBRD, he worked on company law, corporate governance and capital markets related issues at the European Commission and at the Italian Ministry of Economy. He practiced law in an international law firm in Italy, Albania and Romania and acted as consultant to international organizations and various state institutions and ministries in Eastern Europe. In Albania he was advisor at the Ministry of Economy for the privatization of state owned enterprises in strategic sectors. In the Czech Republic he worked as “Pre Accession Advisor” at the Ministry of Justice and the Securities Commission for the approximation of the Czech legislation with EU standards. He graduated in law in Italy and attended postgraduate studies in the Netherlands and US focusing on European and International business law. He has been responsible for the EBRD Corporate Governance Legal Reform Projects since 2004, and led projects in a number of jurisdictions (Albania, Armenia, Kazakhstan, Kyrgyz Republic, Romania, Russia, Slovenia, Serbia, Turkey and Ukraine) especially on corporate governance code and company law development and implementation as well as a number of research and standard-setting projects. 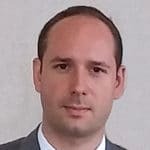 Milot Ahma is an Associate in the EBRD’s Legal Transition Team (Financial Law Unit) primarily focused in corporate governance, insolvency, debt restructuring and access to finance matters. 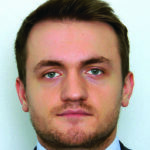 Prior to joining the EBRD, Milot was a Senior Associate at Pallaska&Associates in Kosovo where he was focused in contract law, mergers and acquisitions, banking law and property law. In addition to this, Milot was also engaged in several legal reform-related projects in Kosovo. Milot graduated at the top of his class in the University of Prishtina, Faculty of Law. In 2014 he was awarded a full scholarship, which enabled him to complete his LL.M. degree at Duke University, School of Law. Before this, in 2011 he was the recipient of another scholarship, which facilitated his one semester of studying international commercial law at the University of Groningen, Faculty of Law in Netherlands. Pavle Djurić is a counsel in the Legal Transition Team (LTT) of the European Bank for Reconstruction and Development, the EBRD’s initiative to contribute to the improvement of the investment climate in the Bank’s countries of operations by helping create an investor-friendly, transparent and predictable legal environment. Pavle is actively involved in the EBRD’s work on corporate governance in the Bank’s countries of operations, which encompasses both working directly with investee companies in order to strengthen their governance arrangements and policy dialogue with country authorities to assist development of effective legal and regulatory frameworks that support sound corporate governance. He also participated in the 2016 Assessment of Corporate Governance Legislation and Practices in the EBRD Countries of Operations, the results of which are published on the EBRD website. A citizen of the Republic of Serbia, Pavle graduated from the Faculty of Law, University of Belgrade, where he also obtained a master’s degree in business law. 1.The first Corporate Governance Code that included this approach was the Cadbury Code. 2.Directive 2006/46/EC required all companies listed in EU to ‘include a corporate governance statement in its annual report, which shall include (…) an explanation by the company as to which parts of the corporate governance code it departs from and the reasons for doing so’. 11.First edition of the Whitebook was published in June 2016. Second edition of the Whitebook was published in May 2017. 13.On average, Premium Tier companies in 2016 were compliant with 28.5 Code’s Recommendations and not compliant with 5.5 Code’s Recommendations. By comparison, in 2015 Premium Tier companies were compliant with 24 Code’s Recommendations and not compliant with 10 Code’s Recommendations. 14.Besides being the country’s monetary authority and banking supervisor, CBR is also the Russian securities regulator. 17.Second monitoring report, the Central Bank of Russia (available in Russian): http://www.cbr.ru/Content/Document/File/33001/Review_27122017.pdf.